Heading into the 2018 midterms, health care was one of the most important and defining issues for voters. A Kaiser Family Foundation poll from October found that 71 percent of voters described health care as “very important” in determining who they would vote for, and 30 percent said it was the most important issue. There were, however, partisan differences. Now, a new SurveyMonkey/S&P Global survey taken post-election breaks down the importance of health care by gender. 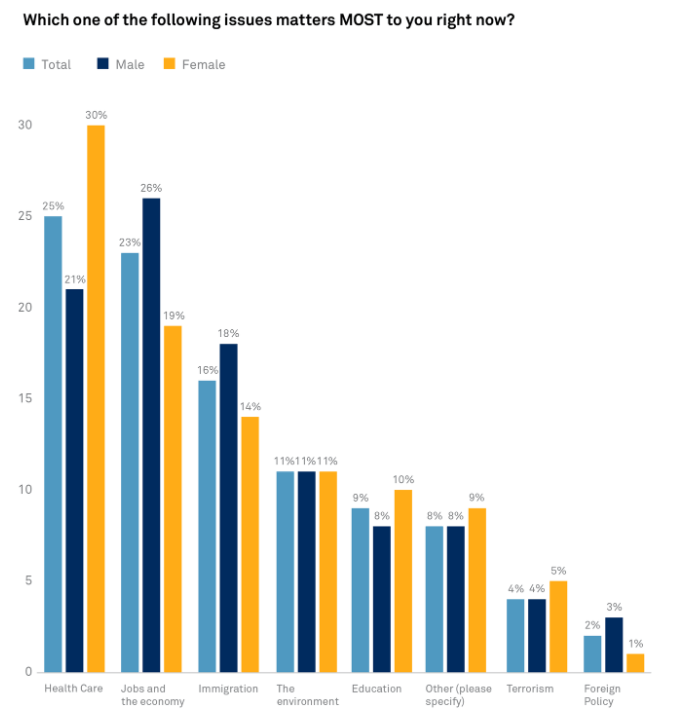 According to the survey, 30 percent of women ranked health care as the issue that matters the most to them. The next closest issue for women was jobs and the economy which was 11 points lower at 19 percent. Immigration was ranked as the top priority for 14 percent of women, followed by the environment (11%) and education (10%). The results differed for men. For the men surveyed, jobs and the economy ranked as the top issue (26%) followed by health care (21%), and immigration (18%). The survey also evaluated political differences between men and women. The survey reports that 39 percent of women trust Democrats more when it comes to financial policies that will benefit their families; only 28 percent of women chose Republicans. 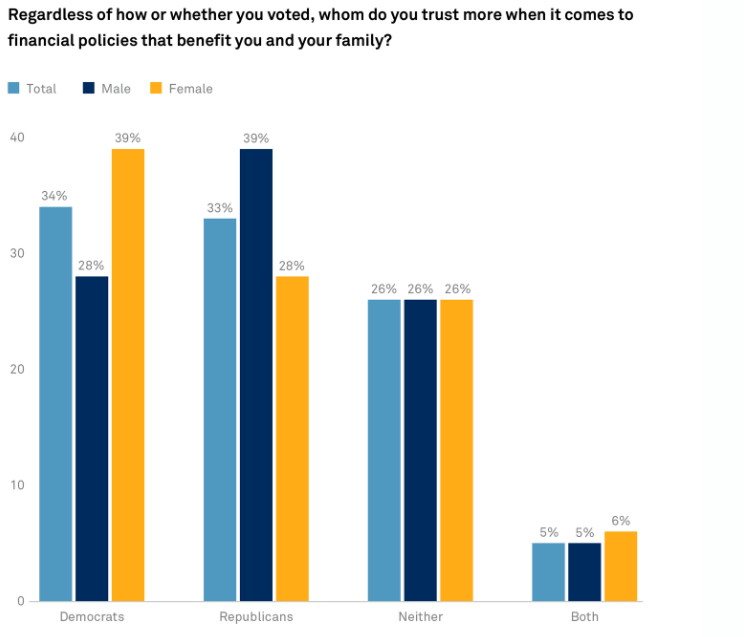 These results are flipped for men where 39 percent of men said they trust Republicans more when it comes to these financial policies, compared to 28 percent of men who said they trust Democrats. These differences in policy and political views are reflective of the widening gender gap that was seen in the 2018 midterms where fivethirtyeight found a 23-point difference when comparing how men and women voted.